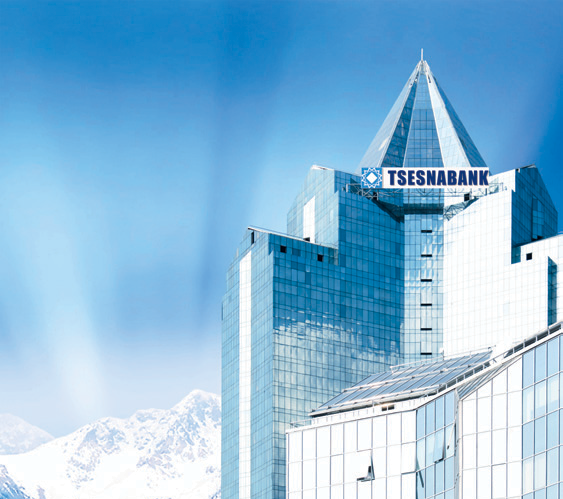 Tsesnabank, one of the top-10 banks in Kazakhstan, with a countrywide network and 20-year history, has been looking for opportunities through the turbulent times of the crisis. The universal bank serves all types of domestic customers and has produced impressive results in gaining market shares and making significant profit. As one of the leaders by deposit growth among the country’s top banks, Tsesnabank is proud to enjoy the confidence of its customers. During the crisis the bank has repaid all of its foreign debts, justifying the trust of its investors.